We need the fire of God! This is a timely message for the church, that will challenge the church to embrace the power and presence of the Holy Spirit. Preached on Pentecost Sunday 2013, be inspired as you listen and ask God to empower you, purify you and equip with the fire of God! God bless you as you listen to this podcast on the fire of God! The Salvation Army is an active expression of God's mission in the world, and continues to serve many people, through active social and evangelical work. Below are a couple of graphs. Firstly, we see the number of officers in The Salvation Army in both 2001 and in 2012. Please note that the number of officers equal the number of active officers plus the number of retired officers. 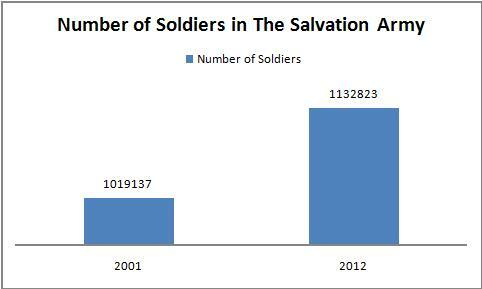 Secondly, the below graph is the number of soldiers in The Salvation Army, both as of 2001 and in 2012. What can we make of these Salvation Army stats? Let's have a look. 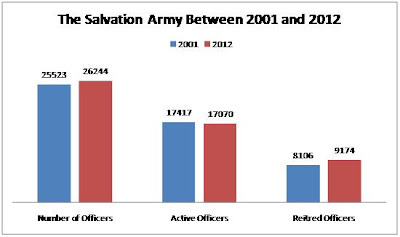 The number of soldiers in The Salvation Army has increased from 1,019,137 to 1,132,823 (up 113,686), an increase of 10.04%. Now, the number of active officers has gone from 17,417 in 2001 to 17,070 in 2012, a decrease of 1.99%. Here is what I can gather from this data. There are slightly less active officers, and over 100,000 more soldiers. The logical conclusion? 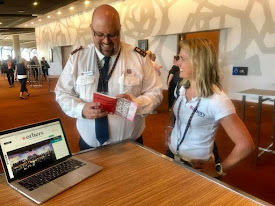 Salvation Army officers are probably needing to do more with less! 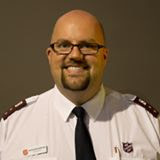 Now, if The Salvation Army hierarchy, does not adapt to deal with more people 'on the forefront' of ministry, officers will have further increased demands on their roles. That's a challenge of leadership, creating a systemically, lean organisation (or rather movement), that continues to empower, equip and bless those who are at the grass-roots of ministry, serving Jesus. We thank God for an increase over the last decade of soldiership numbers - people who identify as followers of Jesus within The Salvation Army and people willing to the best of their ability, live out the soldier's covenant. Though, we must continually pray and challenge people to step into officership. Why? I believe God still uses officership today, to allow people to fulfil an exciting role within the body of Christ; one of leading, pastoring, equipping, empowering and advocating. There is more to say. There always is. The number of soldiers in proportion to countries? I would assume, some western parts of The Salvation Army are in decline and thus other parts of the world are growing rapidly. What is the attrition rate of officers? Are the number of cadets being commissioned higher or lower than previous years? The questions go on. Keep serving the Lord. Make broken lives whole. Also: What are the greatest challenges facing The Salvation Army? Salvation Army - The Rain is Coming! Some are cranking it up with all-night prayer meetings. Other are getting groups together and praying 24/7. Many around the globe are praying every Thursday morning for The Salvation Army. Let me side-track for a minute with a pertinent Scripture. After Elijah's brave encounter with the prophets of Baal, he went up Mount Carmel (see 1 Kings 18:41-46). He told Ahab that there was the sound of heavy rain. What a second! What was Elijah talking about?! There was no rain. The land was dry. The vegetation was struggling. The Israelites had not seen rain for some time. But; Elijah could hear the sound of heavy rain. He went up the mountain and put his face between his knees (quite flexible) and prayed. He asked one of his servants to go and look toward the sea. The servant came back and mentioned to Elijah that nothing was there. Elijah told the servant to go back and check. Elijah seemingly unwavering in his belief in the 'non-existent' rain, tells the servant to once again go back and check. In fact the servant is asked of Elijah to go the sea and check for rain seven times. The seventh time the servant comes back with a different report. He says to Elijah that he has seen a cloud as small as a fist rising from the sea. Not long later, the sky grew dark with clouds, the wind stirred up and heavy rain started pounding down. Elijah must have looked like a goose. He must have sounded like a 'wacko'. Have a think about it for a minute. There IS NO rain! Is this man a fruit-loop? What man, in their right mind, would suggest even for a moment that heavy rain was coming when there was not a cloud in sight? Let me tell you Salvation Army - the rain is coming. The pot is going to boil over. Amazing, passionate, innovative, Spirit-filled ministry will permeate the entire Salvation Army! Salvation of the lost with be the norm. New initiatives to bind up the broken-hearted will increase. The decision-making will speed up. The soldiership enrolment list will be growing too quick to properly update. The PR departments will preach the whole gospel. 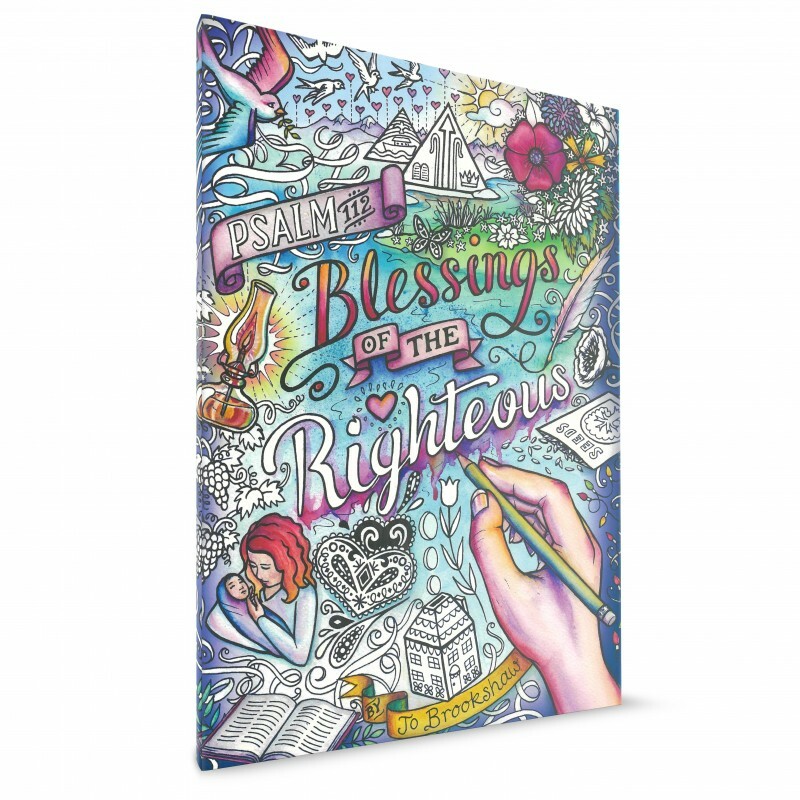 Salvation Army publications will regularly print radical stories of people finding hope and full salvation in Christ. The Salvation Army will shift from machine to movement. You may not be able to see it. You may not be able to sense it. You may even doubt what I am writing on this blog. But for what it's worth, mark my words, the rain is coming. If you are a Salvationist, it's time to understand the rain is coming. You must pray. You must up the ante of prayer. 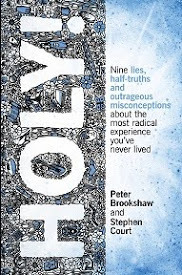 You must seek to characterise holiness in the footsteps of Jesus. You need the indwelling power of the Holy Spirit. Go out and have a look. The Salvation Army began in Canada in 1882, when Jack Addie, an eighteen-year-old, emigrated from England to Canada. Jack was a convert through the ministry of The Salvation Army. 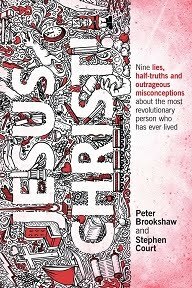 He met Joe Ludgate in London, Ontario and then began the work of the Salvos. In usual Salvation Army fashion, the ministry began with an open-air meeting, followed by indoor meetings. It only took a few weeks before they were enrolling 50 soldiers, and the work of The Salvation Army in Canada had begun. 15th July of 1882, U.S.A. Headquarters sent Major Thomas Moore to support the new work that had begun. By that time (6 months after Jack and Joe had started), there were already 11 corps meeting together. In 1896, Bermuda unfurled The Salvation Army flag and joined the Canadian Territory in its work. 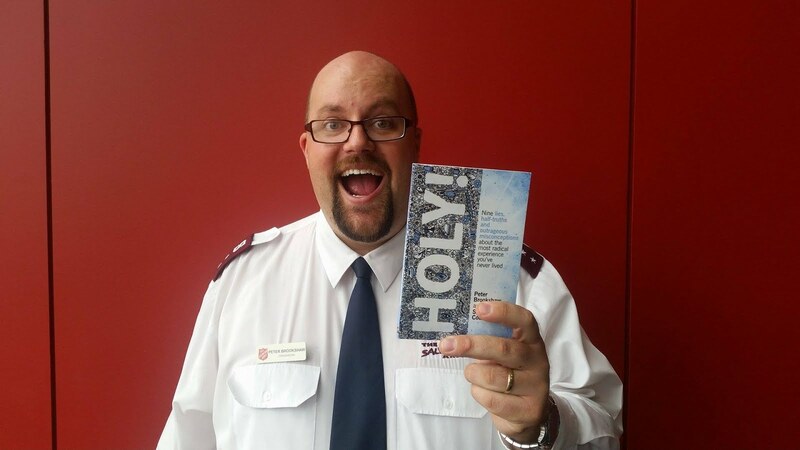 No doubt by the hand of God, The Salvation Army in Canada now has over 300 corps (churches), and around 70,000 soldiers and adherents in its movement. With the help of over 9,000 employees there are 5 hospitals, scores of rehabilitation centres, mental health services, residential services for the homeless, correctional and justice services and loads more. See some Salvation Army Global Statistics here.